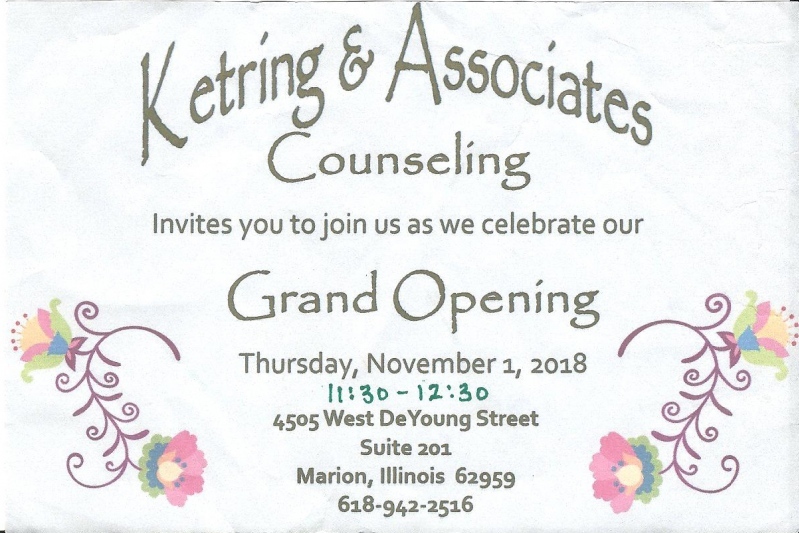 Join the staff of Ketring & Associates for a ribbon cutting and open house at their new location. Enjoy snacks, facing painting, crafts and a showing of “Coco” . RATED PG. Free and open for children birth to 12. Join a group of like-minded, forward-focused professionals working toward the common goals of personally growing, reaching potential, and raising the bar on leadership! This Mastermind series is already in progress. To learn more about the series and to get placed on a waiting list, please contact Russell Williams at 618-694-6586 or russelldwilliams@yahoo.com. Live2Lead will be presented in Southern Illinois on Friday, November 2 at The Pavilion. This exclusive video presentation and live leadership development event will be hosted by Marion Chamber of Commerce and is sponsored by Heartland Regional Medical Center and the City of Marion. Open to unpaid, in-home senior caregivers. Joins us for a day filled with great information and loads of fun. It's a day just for you! Bring a recent read to discuss. Coffee and snacks provided. Free and open for adults 18 and older. We would love for you to join us at your Christmas Open House. We will be showing all kinds of Christmas ideas and fun! We hope it gives you some inspiration for this Christmas! We will also be having refreshments, sales, giveaways and more!! Come out and help support LOCAL CHARITIES at out 10th Annual Chili Cook Off on November 3th, 2018 at the Marion Elks Club in Marion, IL. $5 Dollars to sample team Chili's. Live DJ, Blood Mary Contest, Silent Auction and Bags Tournament. Proceeds this year go to. ipads for special needs children. We are very excited to have Murphy 500 for the first time @ Pookie’s!!! Wrap up meeting of the Golf Scramble Committee for the Sept 27th event. To show our appreciation to the men and women who served so that we might live free, we are introducing “The Trail of Heroes”. Hundreds of American Flags will line the sidewalk in front of the hospital. Each flag dedicated to a Veteran who proudly served. The flags will be on display November 6th, through Monday, November 12th. Trail of Heroes Opening Ceremony: Nov. 6, 10:00 AM, in the Courtyard Cafe at Heartland Regional. After the ceremony the flags will be officially installed along The Trail of Heroes where they will stand in tribute for 7 days. The faculty and students of Ambleside School of Marion cordially invite you to attend a service in honor of our country's veterans. A coffee reception and question/answer session with veterans will follow immediately. At this pre-holiday shopping event, over 130 exhibitors showcase original, handcrafted arts, crafts, gifts, décor, and specialty foods. For more information contact us at autumnfest@jalc.edu or 618-985-2828 Ext. 8416. United Way’s Champion Challenge at Castle Park is a first-of-its-kind fundraiser here in Southern Illinois! Join The United Way of Southern Illinois, Castle Park and SIU’s Medieval Combat Club as brave attendees help raise money for The United Way by challenging Champions from SIU’s Medieval Combat Club with foam swords and medieval-style armor. This event is all-ages and will take place November 10th from 10 a.m. to 4 p.m. at the very family friendly Castle Park. Entry to the event is free and weather forecasts show a likely temperature of 60 degrees and no chance of rain. Challengers will pay $10 to challenge a Champion, winning prizes from The United Way of Southern Illinois if they are skilled enough to defeat the Champion they have challenged. Attendees may challenge one another for a guaranteed prize by paying $20 and battling one another in a Challenger challenge. Attendees ages 12 and younger will be allowed to challenge a Champion or another challenger to a mini-battle for free! The United Way of Southern Illinois will also be on hand with resources and information for families and attendees for the upcoming winter season. For more information, including sponsorships or transportation assistance, please contact Nathan at Nathan@uwsihelps.org or (618) 997 – 7744. PLEASE SHARE THIS EVENT WITH ALL OF YOUR FRIENDS! This Awesome Gospel Concert will be at the Marion Cultural and Civic Center on Saturday, November 10, 2018 at 6:00 pm and will benefit “Clothes for S.I. Kids”. This event will feature Karen Peck & New River,The Southlanders and The Peyton Sisters. The Marion Chamber of Commerce Monthly Membership Luncheon will be held on Tuesday, November 13th at The Pavilion. Lunch service begins at 11:45 a.m. This month's speaker is Cape Air Founder & CEO Dan Wolf. As a business and community leader, Dan has served on many of the region’s most important non-profit and civic organizations, including the Cape Cod Chamber of Commerce (as President for one term), the Association to Preserve Cape Cod, the Arts Foundation of Cape Cod, the Federal Reserve Bank’s board of advisers, and many others. He currently serves on the board of Housing Assistance Corporation of Cape Cod, the executive committee of the Cape Cod Five Cents Savings Bank, the Cape Cod Economic Development Council, and the Cape Cod Business Roundtable. Under Dan’s leadership, Cape Air has received recognition for being one of the most philanthropic companies in southeastern Massachusetts. 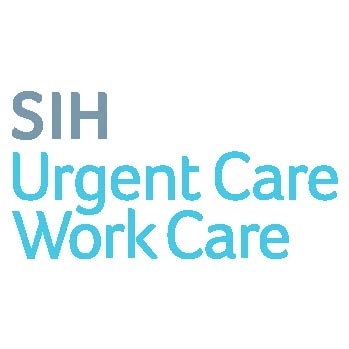 SIH Urgent Care Work Care is the sponsor of the November Monthly Membership Luncheon. This month's caterer is Union Street Pub. The menu includes: Grilled marinated chicken, mostaccioli, salad, roll, dessert and drinks. UPDATE! Dec 20 meeting moved to the chamber office! Come out to the Production Room for a movie night! To get in the holiday spirit, this month we will be showing the Nightmare Before Christmas! It will be free entry for this event. The movie starts at 7pm. This movie will be in the Production Room that is attached to our Tasting Room. And for the adults, we will have spiked floats and shakes for $4! Synopsis: Tale about Jack Skellington's plan to kidnap Santa Claus and celebrate a very different Christmas. In Honor of National Small Independent Business Owner Day, it's the 9th Annual Holiday Shopping Extravaganza! Your one stop shopping for all your holiday gifts. I am going to be hosting a paint party for Kegan Johns memorial fund with Angi Smith on November 17th at Pookie's Beer, Burgers & Bocce. Angi has a fantastic paint party. You pick your design from her site or some other site, supply your request to her by Nov. 1st with your payment. She can alsodo something for the kidos. Everything else will be provided for you to complete an A-door-able Creation. Registrations must be to Angi with design choice by November 1, 2018. Come listen to Todd Pierson play from 3-6pm at the Tasting Room on Sunday, November 18th! Meeting to discuss the Annual Awards Banquet & Auction. Agenda to be emailed to committee members. Chamber membership meeting & Quarterly New Member Luncheon. Call chamber office for details. Wrap up meeting to discuss Live2Lead 2018. Committee members will be emailed agenda..
is believed to have been the first pensioned African American woman to serve on board a U.S. Navy military hospital vessel. 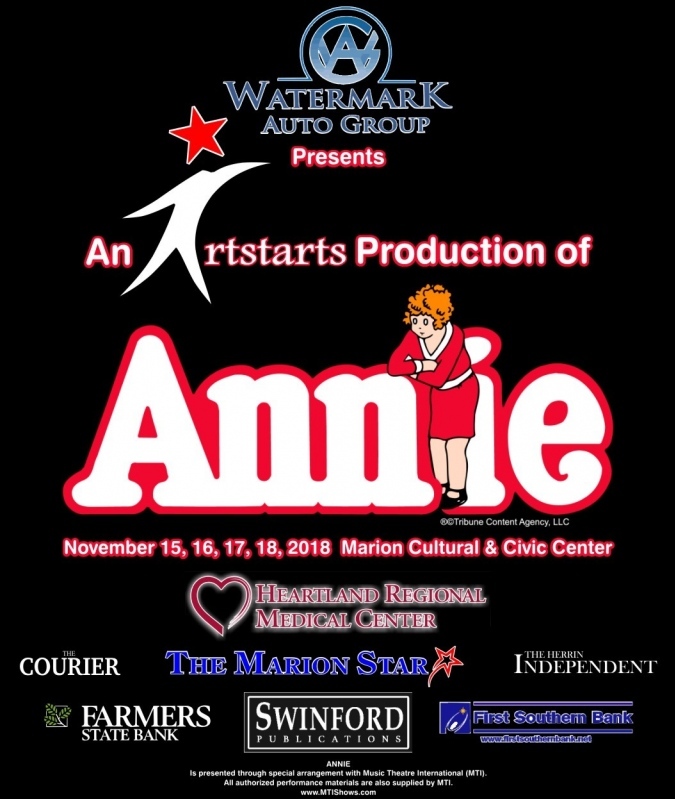 Sponsored by the Friends of the Marion Carnegie Library. We are so excited to welcome you to 618 TAP HOUSE for our first major event. We will be featuring drink specials with giveaways from some of our favorite suppliers along with MANY more surprises. Can you handle all of our taps? Come to the best party in Southern Illinois!! $2.00 FIREBALL AND VEGAS BOMBS!! Our annual T-Giving Eve bash! Get prepared to answer 100 times what you've been up to, how you've been, where you live etc. But at least you will have a delicious craft beer in your hand and awesome live music to listen to! Fun starts when you walk in! Join us at Legends this year for a Thanksgiving Brunch! We will be open from 11:00am-4:00pm. Please call us at (618)956-9900 ext. 400 to make your reservation! We will also be having a drink station with assorted juices and chocolate milk! We are already pumped about BLACK FRIDAY! This year it will be at our new downtown location and we will have much more room and registers. Follow our pages closely for updates. Outside of stand-up comedy, Tina is an accomplished improviser. She completed training at The Improv Shop in St. Louis and has since performed on multiple house teams and main-stage shows. Join us for our biggest open house of the year! We will have live music, snacks, drinks & SALES! The Stagecoach Boutique truck will be set up in our parking lot as well! The Grinch is coming annnnd maybe Cindy Lou will make an appearance too! We hope he doesn't steal all our toys while he’s in town but we know he will be having fun with everyone! Pictures by Taylor Kaszian Photography. Turn Up The Gospel Presents "The Ultimate Worship Experience". Meeting at the chamber office at noon. Agenda to follow via email. Chamber Audit Committee will meet at 2pm at the chamber office. Email to follow to members of the committee. This event is open to anyone! Cost is $30.00 per person. You can make any of the 3 choices: sled with personalization, red buffalo plaid sign with the word “Believe” or initial with antlers, or white and black buffalo plaid with “Believe” or initial with antlers. RSVP by November 21. Link will be provided to RSVP online and payment. Meeting to discuss 2019 Budget. Committee members will be emailed. Meeting to discuss staff. Committee members will be emailed. Meeting to discuss Awards Nominees. Committee members will be emailed. Eat, learn, discuss & grow! Raise your leadership and connect with others in a fun learning environment! The September Lunch & Learn will be held on November 28th from noon - 1 p.m. at Heartland Regional Medical Center, Classroom 1. The Marion Chamber of Commerce hosts a Lunch & Learn each month as part of the Leadership Marion program, sponsored by Heartland Regional Medical Center. In a brief amount of time, you will receive the best leadership principles, interact with other growing leaders, and discuss how to apply effective practices to your organization. 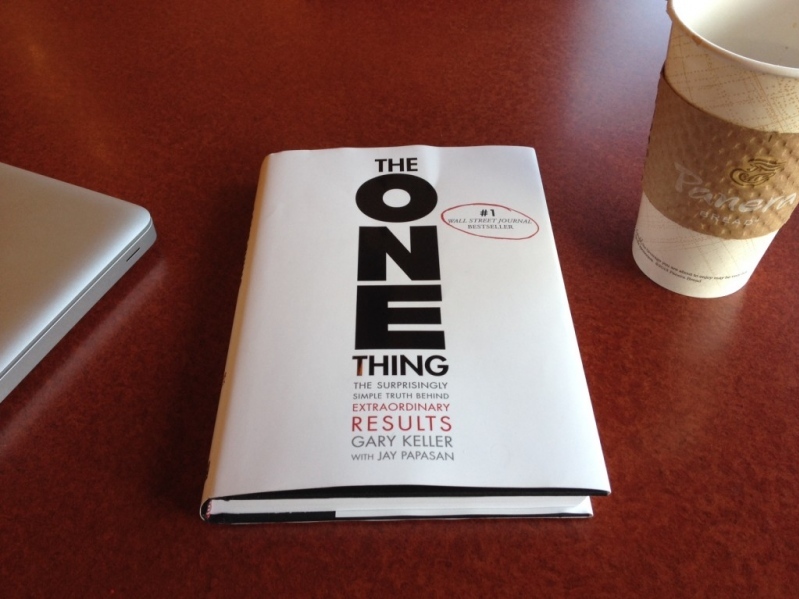 After each Lunch & Learn, you will walk away with at least one mind changing idea that will create a desire for motivation and self-improvement. 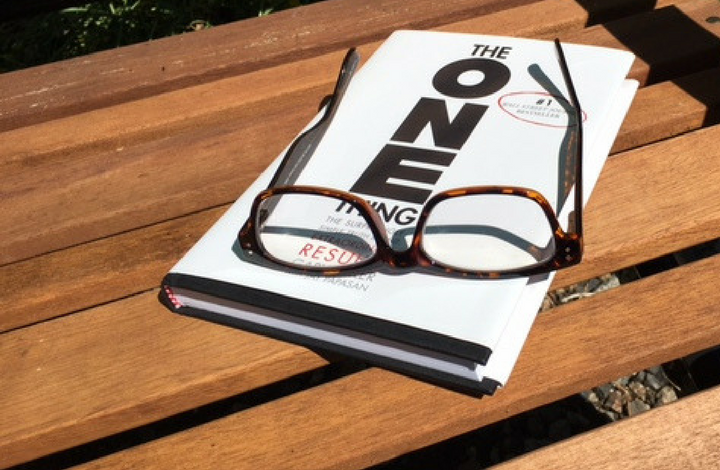 This is the perfect professional development opportunity to increase levels of influence and potential in yourself and in the teams you lead. The Lunch and Learn programs will be held on the fourth Wednesday of the month (March 21 and December 19, 2018, class are exceptions) from noon to 1 pm at Heartland Regional Medical Center in Classrooms 1&4.